Our Anti Moisture Powder is a chemical substation of a white powder form which is used to absorb all the moisture content present in all thetypes of plastic scrap materials.if necessary,the quantity of anti-moisture powder depends on the moisture content present in the material. Anti Moisture Powder is acidic moisture free and its strength improves. The Energy charge decreases because it absorbs moisture Very quickly,So It reduces your machine and labor charges. 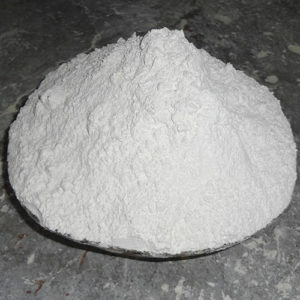 moisture powder is also widely used for insulted plastics. the better surface of the plastic particles is finished. reduces the air block incide the recycling/mold,the mining waste out of control,the screw bone reduces prduction costs due to production problems. Being one of the trusted firms in the industry, we are highly engaged in providing a unique range of Recycling Anti Moisture Powder. We are one of the advancing Indian Manufacturer, supplier and exporter of an extensive variety of qualitative Plastic Additives. or recycle plastic dana best economic grade. Rajasthan Super Fillers Private Limited, Rajasthan, India becomes an affluent manufacturer, exporter and supplier of Calcium Carbonate Powder in Udaipur, Rajasthan, India. We are providing a premium quality range of Calcium Carbonate Powder. We graded Calcium Carbonate Powder by quality. We reblend the products according to specification, bagged and marked. Find more about it, contact us. and have a look at our other products list at Indiamart page.